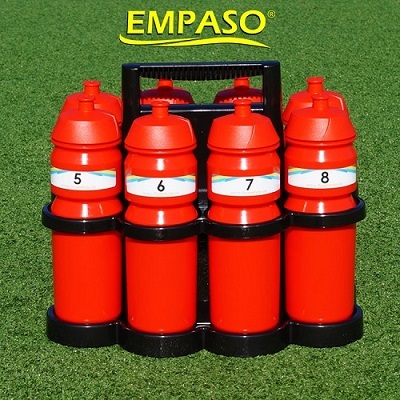 The EMPASO 8 Sports bottle carrier set is the new bottle carrier set including 8 sports bottles 750cc. The carrier is standard available in black and you can choose out of 11 different colours for your sports bottles or a mix of 8 differente colours. 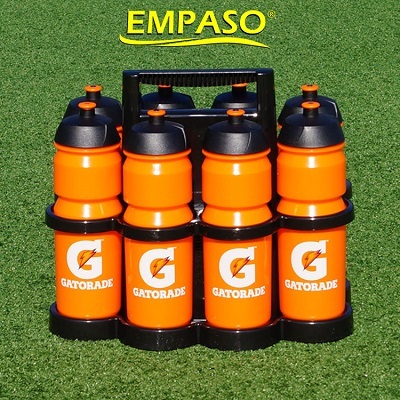 Sponsored bottles & carrierAs of 300 sports bottles, which equals about 40 sports bottle carrier sets, we can producce and deliver the carrier sets including a screen printend logo on the bottles and including your full-colour logo on both sides of the carrier set. Interested? 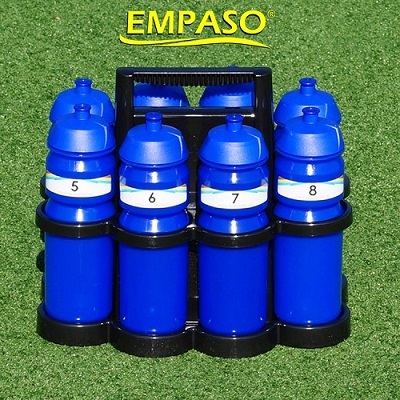 Please contact us via e-mail.–Prices 8 Bottle Carrier SetThe price of a standard black 8 Sports Bottle Carrier Set including 8 sports bottle 750cc is € 39,50 per set.–Delivery price & timeThe delivery price for one package (parcel) with max. 2 carrier sets is € 17,54 incl. VAT and the delivery time about 5 to 10 working days after the invoice has been paid. Thursday is our fixed weekly shipment day.–Order procedureYou can order your 8 sports bottle carrier set via the order form below. Fill in the form and submit your order. Within two working days you will receive our order confirmation including the invoice. How many 8 Sports Bottle Carrier Set do you order? * One (1) pieceTwo (2) piecesThree (3) piecesFour (4) piecesMore than 4, specify at "Remarks". 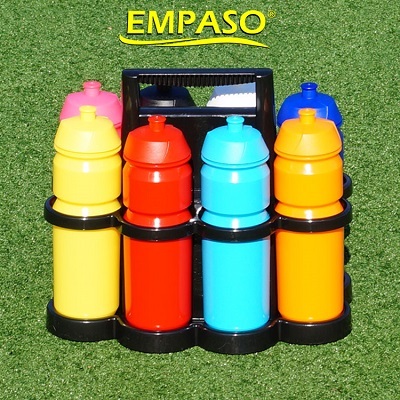 Specify the colour of your sports bottles. Do you want to order a CoachBoard with board marker? * No, I do not order a CoachBoardYes, I order a CoachBoard FootballYes, I order a CoachBoard Field hockeyYes, I order a CoachBoard RugbyYes, I order a CoachBoard VolleyballYes, I order a CoachBoard KorfballYes, I order a CoachBoard BasketballYes, I order a CoachBoard HandballYes, I order a CoachBoard WaterpoloYes, I order a CoachBoard FootballOther, specify at the field "Remarks"
Surcharge for PayPal / Credit Card is € 3,00 per carrier. –Did you send your order? Than you will receive directly a short e-mail from us in order to verify your e-mail adress.